While many people fall for the claims by famous brands in UK and end up purchasing dryers that are in fact nothing but mediocre and not worth the expenditure at all. All that glitter is not gold and hence, keep your eyes wide open when buying anything! We value your time, your money and hence we have made it easier for you by choosing the top products in the market. We have tried to understand what makes a quality professional hair dryer have and come to a satisfying conclusion. The Aliza professional hair dryer is an ultra-lightweight, personal use hair dryer in UK which gives professional results. With ionic technology, you can dry your hair quickly while simultaneously spreading moisture to give your hair a healthier, sleeker finish. With quick dry nozzle and afro comb attachments included, dual speed control, 3 temperature settings and a cool shot function, professional hair dryer will care for your hair while you style for gorgeous results every time. 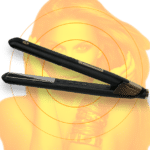 If you struggle to get sleek and straight locks from your naturally curly or frizzy hair then fret no more. This can easily be achieved by using your Aliza professional hair dryer and a large round brush. Each part of your hair may take about 30-60 seconds so it may be time consuming however we definitely think the salon-straight look you’ll end up with will be worth it; even lasting for a few days You’ll achieve silky smooth results with the high-voltage advanced ionic generator in this professional hair dryer, releasing 10 times as many ions as natural sources in order to seal in moisture, eliminate frizz and minimize damage. With a salon-quality motor, Aliza professional hair dryer will deliver a professional finish every time in UK. Heat-activated Technology conditions and nourishes hair while also helping with heat distribution to avoid damaging tresses. Yes, that’s real Ionic technology works to make hair even softer, resulting in smooth, healthy hair achieved without damage in minimal time. Create a number of styles with three heat and two speed settings, perfect for adapting the heat and airflow to your unique hair type and texture. 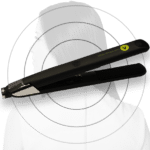 The cool shot button will help finish off at the end of your blow dry while the diffuser and concentrator attachments mean you’ll have maximum control over your style. The Aliza professional hair dryer is a leader in hair styling technology and tools, operating for many years in UK. Each product is developed alongside salon professionals to make sure they’re perfect for achieving great results. This professional hair dryer has advanced ionic technology, which helps your hair dry faster and locks in moisture for longer. Its two speeds and three heat settings allow you to easily adjust based on the style you want.